When teachers, administrators, parents, and the community all work together for a common goal, amazing things happen for the good of the students. And that's just what's been going on at the Cheremoya Avenue Elementary School in Beachwood Canyon. The Cheremoya Foundation, a nonprofit founded by Hollywood Dell Residents, has been working in conjunction with Cheremoya, LAUSD, and the School Site Council to improve the academic environment for Cheremoya students. The foundation has raised funds for everything from school supplies to new computers, to interior remodeling, and exterior landscaping, and the results are impressive. 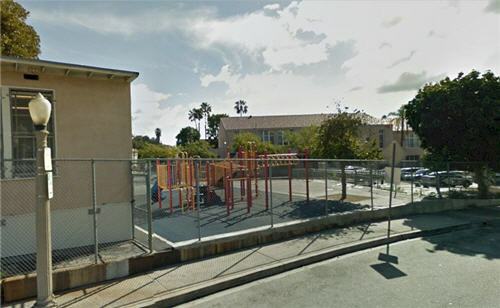 The Cheremoya School, the only elementary school in Beachwood Canyon (Hollywood Hills), has now become a model for the Los Angeles Unified School District. 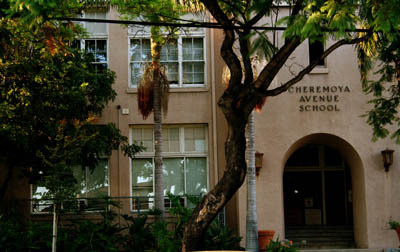 Beachwood Canyon In 2010, The Cheremoya Avenue Elementary School attained an Academic Performance Index (API) of 821 – and became one of only 28 schools in the LAUSD to achieve a score over 800. This is a significant achievement, as it is an improvement of 64% over the 2010 scores. Cheremoya is a Kindergarten through Grade 6 school with an enrollment of approximately 350 students. Staff includes 16 fully credentialed certificated personnel, with an average of 19 years of teaching experience.. Cheremoya Avenue Elementary School Playground The school's name comes from the groves of cherimoya trees that lined the land surrounding the school when it was constructed in 1915. Since that time, new buildings have been added, but the historic look remains – making it a magnet for film and television productions. Jodi Foster is one of the schools most notable alumni. To learn more, visit the Cheremoya School website. 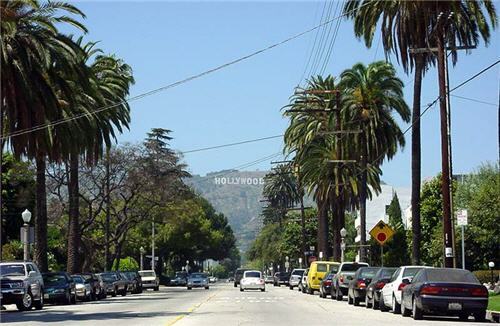 To learn about homes for sale in Hollywood Hills, give me a call. You can reach me at 213-215-4758. It sounds like great things are happening at Cheremoya. If you would like to write a guest follow-up artilcle I can post it to the site! I can't tell you how much I appreciate that you wrote about Cheremoya. But it's time for a follow-up!